Immigration through Asylum in the U.S. 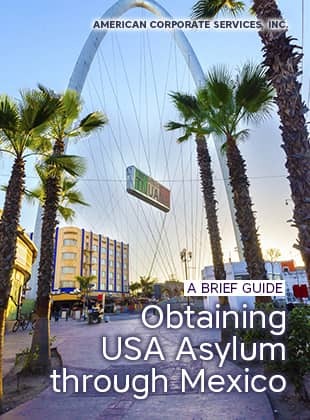 The United States of America is one of the most generous countries for asylum seekers with a wide range of the rights and benefits granted to an asylee. The benefits occur even before the asylum status is granted and might last until obtaining U.S. citizenship. Permission to Work. You are eligible to work in the U.S. as soon as asylum is granted, even without Employment Authorization Document (EAD). If 150 days have passed since you applied for asylum and no decision has been made on your case, you may apply for working permission by filing a Form I-765. Social Security Number (SSN). 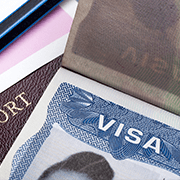 As an asylee, you may apply for an SSN that serves as an identification document in the U.S. It allows you to work, receive ID and driver licenses, open a bank account, or receive a credit card. Green Card. After being granted asylum and having lived for one year in the U.S., you may submit a Form I-485 and apply for a permanent residence to become a Green Card holder. Asylum for Family. Within two years after asylum has been granted, you may submit a Form I-730 to bring your immediate family (your spouse and unmarried children up to 21 years) to the United States. Travel outside the U.S. As an asylee you can travel outside the U.S. with a Refugee travel document that is valid for up to one year. Help for Resettlement. As an asylee you may restart your life in the U.S. with the help of the Office of Refugee Resettlement (ORR). The office aids in financial, medical, employment, and adaptation issues for eligible candidates in various locations in America. U.S. Citizenship. If you meet the common naturalization requirements after holding a Green Card at least five years, you may apply for the U.S. citizenship. You need to persuade an asylum officer or an immigration judge that you are eligible for asylum by providing written, verbal, photo, or video evidence in a case, during an interview or in court. It's not enough to show yourself as an outcast – belonging to a national or social minority, expressing political views opposing the current rule, etc. You need to demonstrate how you, or members of a similar group are being persecuted in your country by the government and/or private actors whom the government is unable or/and unwilling to control. In alternative, you need to prove that you have a well-founded fear of persecution in your country and concern for your life and freedom. 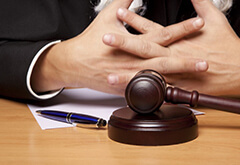 Highly-skilled and experienced people will fully check the information to decide on the case. reside in a country which underwent radical changes, making applicant’s persecution in future unlikely. A person has to be inside of the US; or come to any US port of entry and request asylum. 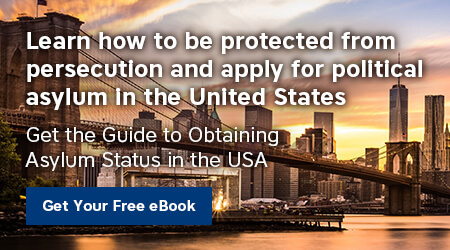 To ask for asylum inside of the US, an applicant must come to the United States on a valid nonimmigrant visa, file an application I-589, provide supporting documents and undergo an interview with an asylum officer of the USCIS. The decision will be based on results of the interview. 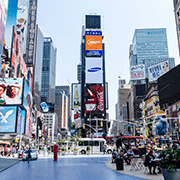 Sometimes it is difficult to get a U.S. tourist or any nonimmigrant visa. But it may be possible get a visa to visit Mexico, arrive in Mexico, then apply for asylum at a port of entry along the Mexico-American border. This is a legal option. 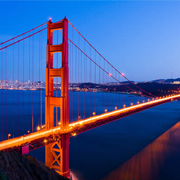 American Corporate Services Law Offices, Inc. will give you qualified assistance in U.S. asylum process including U.S. travel arrangements and expected asylum grant provision. Our licensed immigration lawyers with experience in complex asylum issues can support you at every step. With our One-Stop Solution program, you will receive every service needed. The immigration process is not only a matter of law, you will need a job and a bank account, and you and your family will need a home, a school, medical service and dozens of other necessities of America life. We have assisted more than 7,000 clients to make their immigration dreams come true. We would be delighted to help you! If you are planning to apply for U.S. asylum, we can provide you with counsel and skillful advice, based on American legislation and our experience in handling immigration issues. Disclaimer: We cannot guarantee the positive outcome as every asylum case is a fact-specific and evidence-specific driven; the processing times could vary on a case-by-case basis.